Monty's beers have won many awards over recent years, almost every beer has an award! 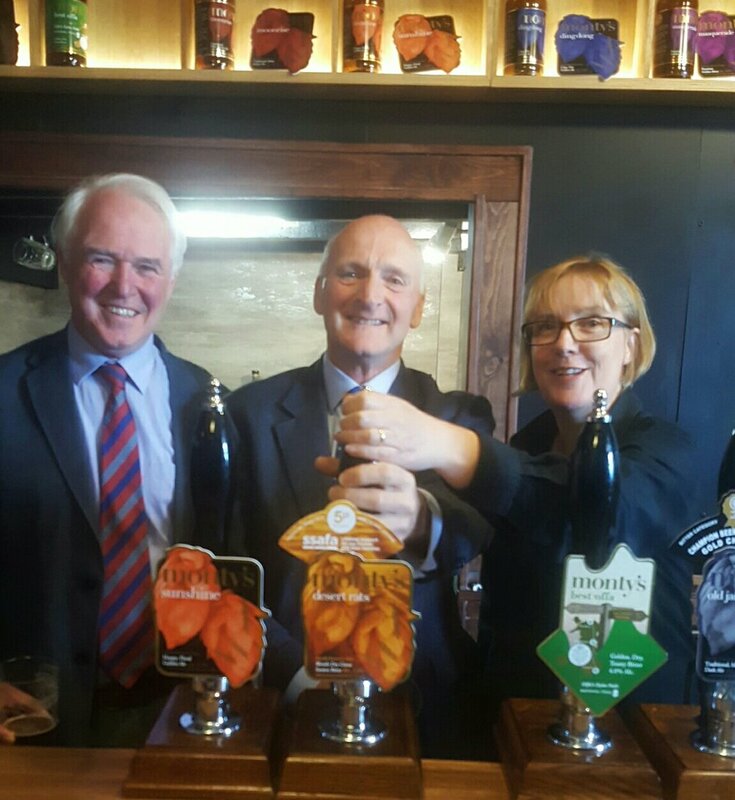 We had the pleasure of Henry Montgomery, grandson of the famous General Montgomery pull the first pints of oour popular summer beer Desert Rats on June 8th. Monty's donates 5p per pint to the forces charity SSAFA to help servicemen and women. Monty's also produced 1000 bottles this year too. From left to right Philip Williams Divisional Secretary of Montgomeryshire branch, Henry Montgomery and Pamela Honeyman Owner of Monty's Brewery.